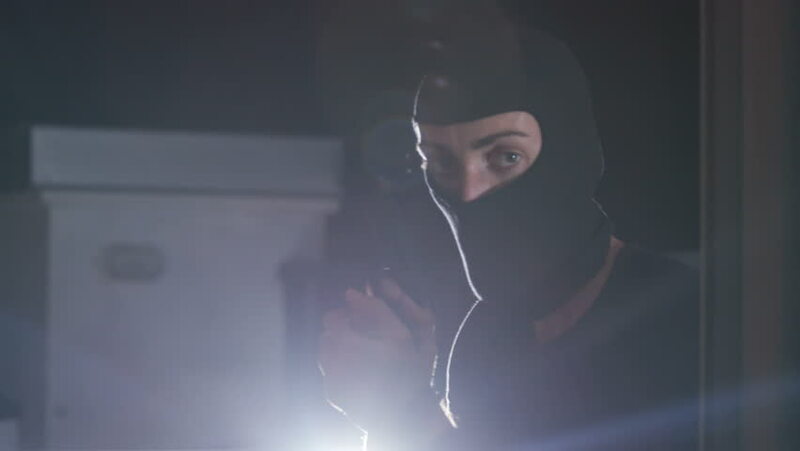 Caucasian young man in black balaclava going roof terrace in evening and looking through the window into room. Guy with gun in hands. Bandit. Outdoors. hd00:271950s: Record spins on turntable. Teenage boys and girls sit around table set with microphones, look at papers. Boy at end of table, reads off paper, talks, looks into camera.